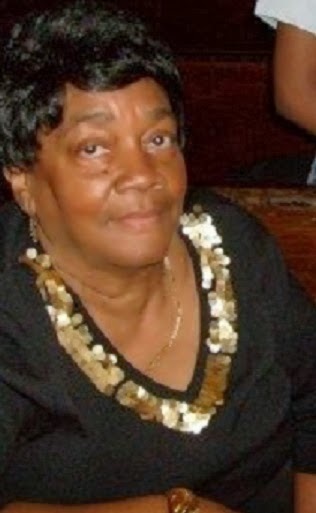 If you know me you know I believed the sun rised and shined on my maternal grandmother, Mamie. She was full of knowledge and wisdom with an open mind and heart. A few weeks ago she passed away after a lengthy battle. As the days passed I've come to realize that grief is a process done in steps and after weeping and trying to keep her traditions and honor I wanted to dedicate a blog post to her not just because she was this savvy Southern lady but primarily that she was a major influence in my professional, domestic and personal life. Here is a sampling of some of the life lessons I was blessed to learn form my grandmother Mamie Hartley. My grandmother had strong Southern principals about hospitality. Not only were you suppose to be a good host, you had to be an even better guest. If you stepped foot into anyone's home, you were to show them that you were not only considerate but thoughtful, helpful and above all, you had good home training. Now, when I receive an invite to someone's home I always ask the host what they want for me to bring, if not specified I try to fill a void and make something easier on the host. Whether it's a nice bottle of wine, a dozen homemade cupcakes or a tray of chicken, I will never come into your home with my arms swinging. Growing up during the Great Depression, my grandmother didn't have much material wise but as she got older and more established, she was a strong believer in the art of gifting for no reason. Tokens of appreciation, acts of thoughtfulness or as I like to say, any day can be Christmas. Whether it was giving a coupon to a stranger or buying me a pair of pajamas because I'd outgrown the ones I had, I learned to be a less selfish person by giving to friends, family and strangers just because, and once I got into that habit, I always felt good about myself. I failed my driving exam and ran up the stairs into my Grandmother's kitchen and burst into tears like a newborn baby. At first my grandmother thought something tragic had happened after she realized it was just my driving exam she said "Stop that crying and go schedule another exam and get yourself ready for the next one." It wasn't warm and soft it was just what I needed, a reality check on the level of seriousness and the encouragement to dust it off, get up and get together. Up until she went into the hospital, my grandmother knew more about the cast of Dancing With the Stars and X Factor than I ever will. She followed every contestants' career both during the competition and after. She watched every award show and knew more about Jay-Z and Beyonce than some of her own children. Did she know the lyrics to Public Announcement, of course not, but she didn't believe that because of her age she couldn't stay up to date with pop culture and stay current. It was not only hilarious to see her at a Mary J Blige concert singing No Drama it stood as a monument that you can be young at heart forever. If there is anything I truly admire about my grandmother was a Southern femininity and old school thoughts about appearance in a super casual world. She was a Virgo and was critical, but it was always for the greater good. Grandma believed that when you step out the house you are presenting to everyone not only how you feel about yourself but where you come from. For years she would get both myself and my cousin JR ready for school and our faces would be shiny from Vaseline, our clothing cleaned and pressed as if it was Easter Sunday. As I got older she made sure to always give her opinion on my outfit. Thankfully, she very rarely disapproved, at most she hoped I didn't go to far in something she deemed ugly or raggedy. When it came to herself, she usually wore a Gucci bucket or a sequin beret, a little bit of rouge and one of her sleek Coach bags. Grandma inspired me to always be overdressed and ready to impress.